BRICKiPhone is a completely functional iPhone 4/4s upgrade case which you can print with any 3D printer. BRICKiPhone is built from 3d printed plastic (or material of your liking), insert an iPhone headset, your iPhone 4/4s and a vintage antenna, then go. In four pieces it snaps together then transforms your iPhone 4/4s into the hottest thing of 1980, (including the coveted belt clip). License: CC// by-nc-sa or in detail here. For any reuse or distribution, you must make clear to others the license terms of this work. The best way to do this is with a link to this webpage. 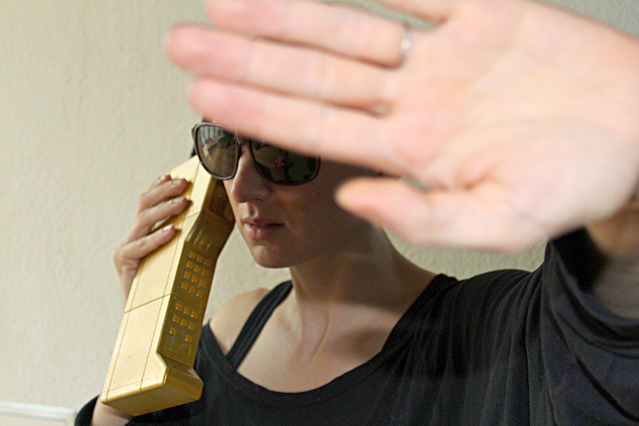 The BRICKphone was developed by NORTD with support from the STUDIO in collaboration with FAT lab.